Since her husband Jack left her five years ago, Kate has done nothing but dwell on the anger and feelings of betrayal, vowing to forget their twenty year marriage and move on. But she can’t. She dreams about him every night. Dreams of his smile, his touch, the way he used to look at her and the way he made love to her. Her body responds as if he’s really there, but in the harsh light of morning she knows that she’s living in the past and needs to let go. When Jack suddenly returns without explanation of where he’s been or why he left, Kate fights the attraction that still smolders between them. Determined to win her back at all costs, Jack reminds her of the passion they shared, when every touch, every look, every word sent her soaring into heights of ecstasy. It’s like a dream she can’t wake up from, a trip to the past when life with Jack was wonderful. 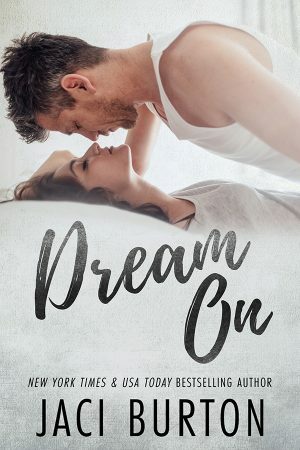 But the past is over and Kate is determined not to live in dreams any longer, even if that means she has to face reality and live without the man she’s loved all her life.